of the press preview last week, I'll enjoy a glimpse of the exhibit before going home. his concepts draw on his childhood in Cuba, and South Florida where he is now based. 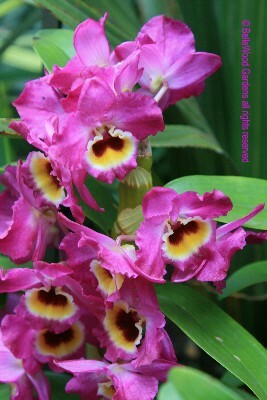 to this year's orchid show, with the theme of Cuba in Flower. 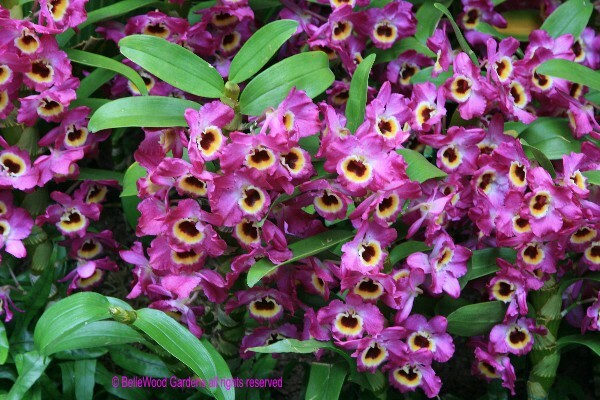 and conservation of orchids. 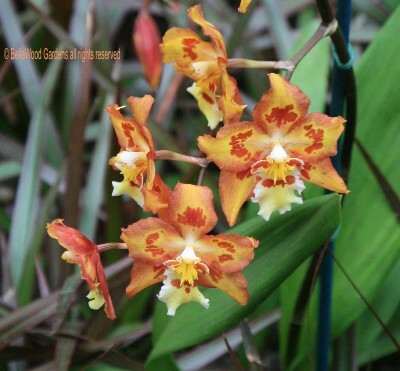 After all, 300 species of orchids call Cuba home, some native only here. equally attractive in closer view. 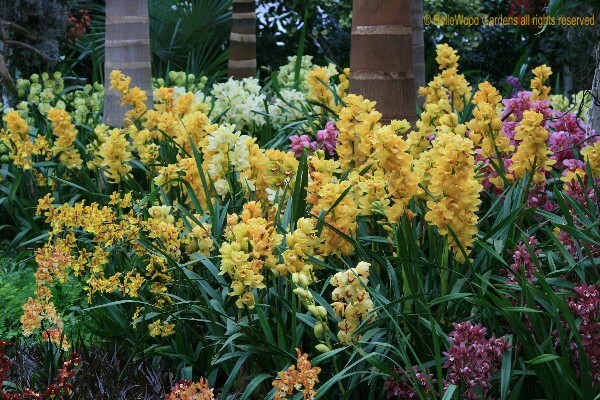 The naming of orchids is a complicated matter. 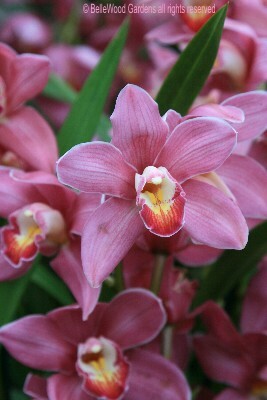 Above, Cymbidium is the genus name, Happy Face is the grex name, and 'Amaranth' is this orchids cultivar name. 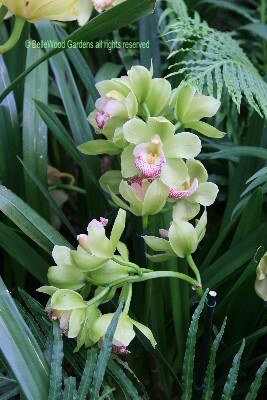 The genus name of Cymbidium, is Italicized and with the inital letter capitalized. Next would come the species name, also italicized but all in lower case. 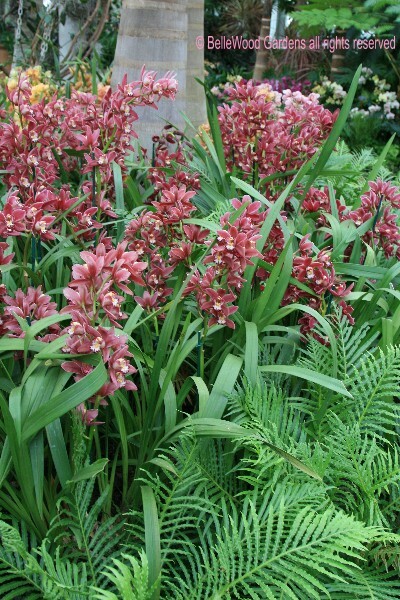 Plants of garden origin can be given a cultivar name to distinguish a clone of particular merit: unusual color, dwarf rather than tall, disease resistant, especially flavorful, and so on. 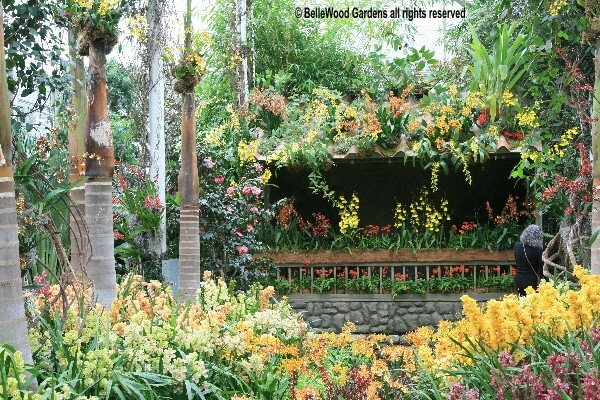 The term is horticultural shorthand for = cultivated variety and is applied to identical, asexually propagated plants. Cultivar names are written in Roman typeface and bounded by single quotation marks. 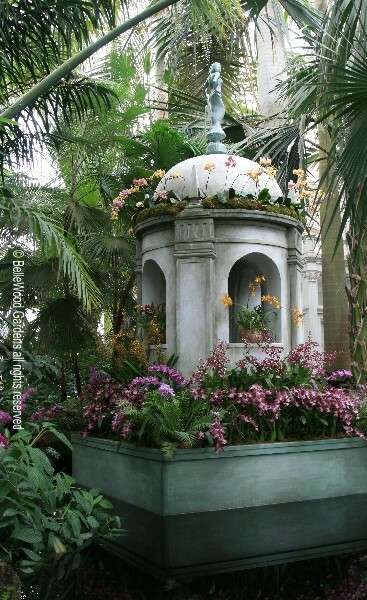 Orchids (and lilies) may also have a grex name. Grex, from the Latin term for a flock, is applied to all seedlings growing from the seed pod resulting from a hybrid cross. They'll all have the same grex name, written in Roman typeface, initial cap but no quote makes. Within the same grex the individual clones may have some, none, or strong resemblace to each other. 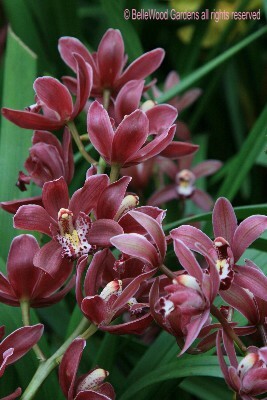 A clone of particular merit may be given a cultivar name to distinguish it from the grex siblings. Happy Face is a grex name, and 'Amaranth' is a cultivar name that distinguishes this particular clone of the Happy Face grex . with the first ×Wilsonara created in 1916. 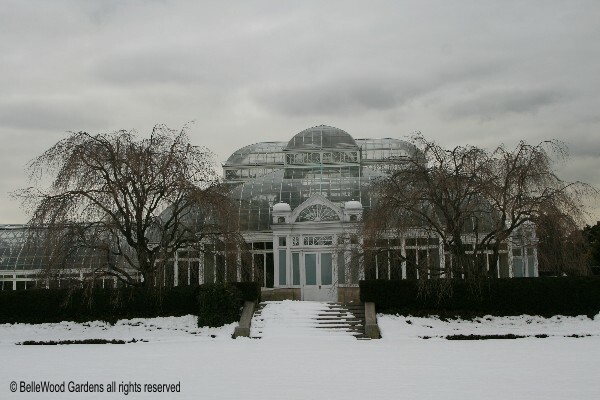 The Orchid Show is open from February 27 through April 11, 2010.